One of the four final volumes, completing the series on schedule and covering the whole Bible. This work combines the latest scholarship with straightforward language and a reverent attitude to Scripture. It aims to instruct the head and warm the heart, authors come from around the world and across the Christian traditions. General editors of the series are: The Revd Dr Richard A. Burridge; Dom Henry Wansbrough OSB; Canon David Winter. Cited in the New Testament more than any other book, "Isaiah" encapsulates prophecies of judgment, restoration, deliverance, comfort, Messianic themes, and also narrative episodes. Regarded as a 'fifth gospel' by some, it speaks of the promised Messiah and the death of the Suffering Servant. As relevant today as it was two-and-a-half millennia ago, Jo Bailey Wells presents "Isaiah" as a testimony to God's enduring faithfulness to his wayward people - a powerful combination of warning and hope. Each "PBC" volume divides the Bible text into sections that are covered in a series of two page reflections, with concluding prayer or point for reflection. ;An introductory section covers issues of authorship, background and so on, including a list of books for further study. Isaiah: People's Bible Commentaries by Jo Bailey Wells was published by Bible Reading Fellowship in June 2006 and is our 18653rd best seller. The ISBN for Isaiah: People's Bible Commentaries is 9781841011516. 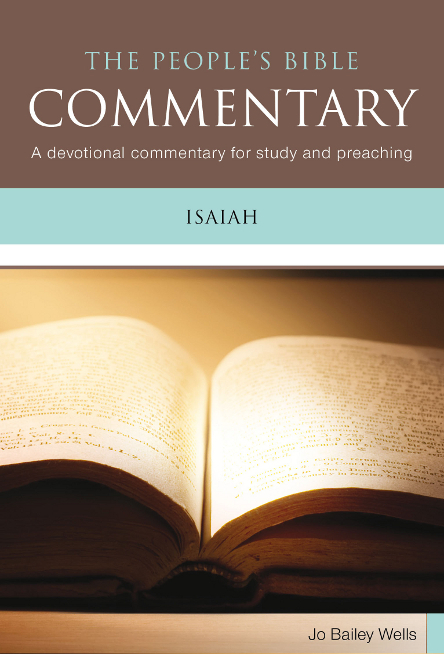 Be the first to review Isaiah: People's Bible Commentaries! Got a question? No problem! Just click here to ask us about Isaiah: People's Bible Commentaries.